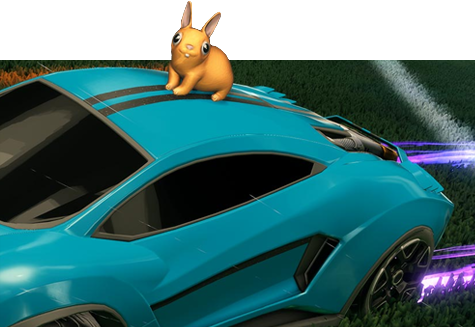 Another day, another Rocket League update. After a successful 2 year anniversary, the guys behind the hugely popular car football game made several nods in the direction of streamlining their game for the competitive scene – the Rocket League eSports crowd is growing by the day, after all, and the ranked game modes remain equally popular. 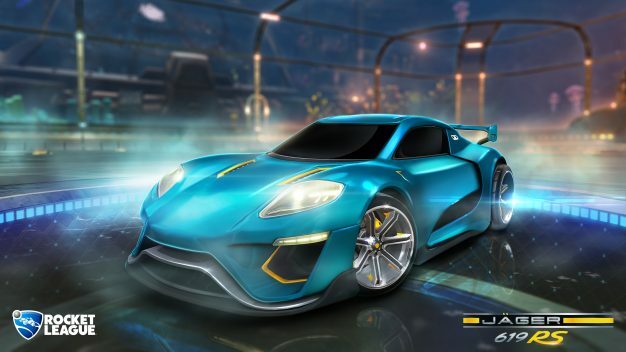 These nods have since become definite movements, and as the Autumn Update draws near, so too does the promise of some much-needed adjustments to the Rocket League base game. Oh, and some cool new stuff. 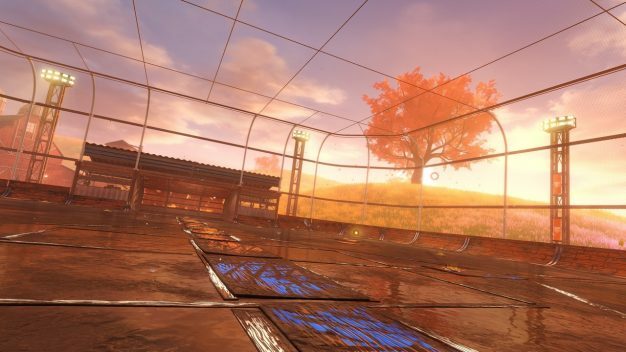 You’ll be able to storm this barn on Casual, Competitive and Private matches for what the website describes as a “limited time.” Whether that means the arena really is seasonal, and will be removed come winter, remains to be seen. I’ll get onto the new limited-time Events in a bit. This battle-car is available in the new Accelerator crate, alongside a pearlescent paint job, popcorn goal explosion, ‘Hot Rocks’ trail, ‘Power-Shot’ boost, and new ‘Chrono’ animated wheels. If you want to see just how these new items look, check out the official site here. We’re also being treated to over 90 new cosmetic items, from toppers to animated boosts, which can be unlocked as in the old days, simply by playing the game. 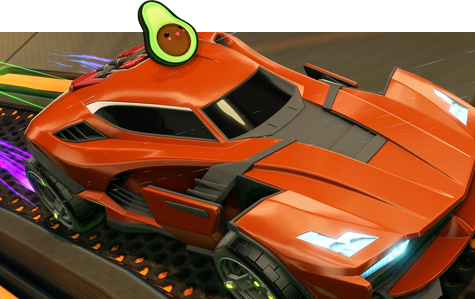 Mrs. Avocado, on a car (doh). 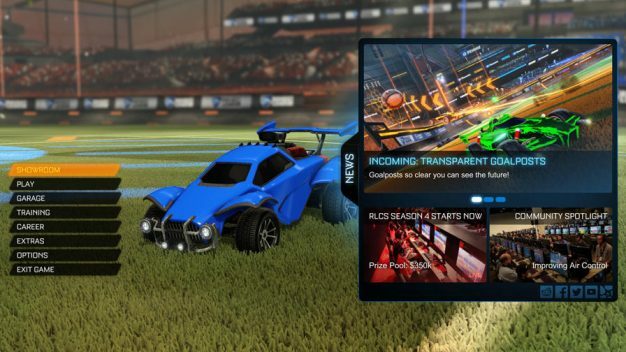 Moving on to the completely unprecedented additions and changes to Rocket League, we’ll start with the new Banners. Acting as a reward to be dished out at the end of Competitive Season 5, the latest cosmetic item is a decal that backdrops your gamer tag during goal replays, post-game celebrations, and at the main menu. There are a bunch of standard Banners, too, presumably as a part of those 90 new cosmetic items. Again, if you want to see how these look, head on over to the official site. N’aww. Cute sound, or car engine? Then there are the new limited-time Events. As of this Autumn Update, expect to see new stuff drop with increasing frequency, in events that will occur over a predetermined period of time (duh). 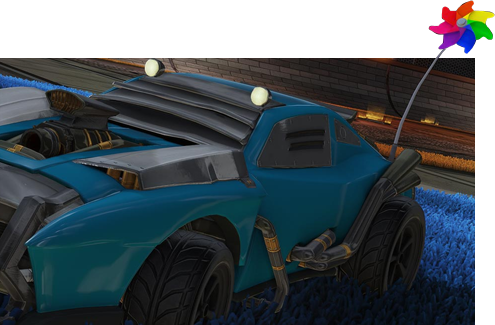 During these events, you’ll be able to grab the new Decryptor, a pass that unlocks one crate for free. Pinwheel. I can’t find even a terrible pin for this one. Pun. I mean pun. Ahem. The team at Psyonix have also responded to calls for a LAN option on PC, to allow players to host larger tournaments or just have a laugh with more than 1 other local player at once. You might even notice that the news board on the right hand side of the main menu looks a little different, too. 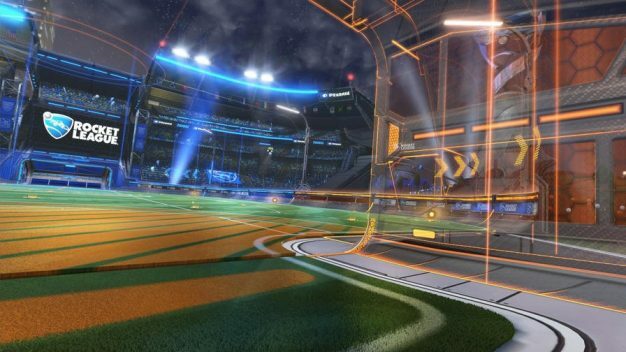 All of this pales into insignificance, however, in light of the fact that Rocket League now has transparent goalposts. Ever struggled to gauge where that incoming cross will land? Perhaps you’ve been sitting deep in the goal mouth, unsure whether you should launch a counter because you can’t physically see the damn ball? Struggle no longer, friend, because those enormous great Rocket League goalposts are now totally see-through. But wait, there’s more. The unanimously-detested non-standard arenas that are Starbase ARC and Wasteland have had an overhaul like Neo Tokyo not so long ago, and now feature a rectangular shape without walls that curve like Satan’s cheekbones (you know what I mean). As a special treat, we’re also being offered 3 new arena variants – DFH Stadium (day), Mannfield (snowy), and Champion’s Field (day). Expect to see these revamped arenas in Exhibition, Private, and Ranked game modes. I’ve also heard rumour that the battle-cars are receiving a stat-standardisation makeover, but until I’m certain, I promise nothing. 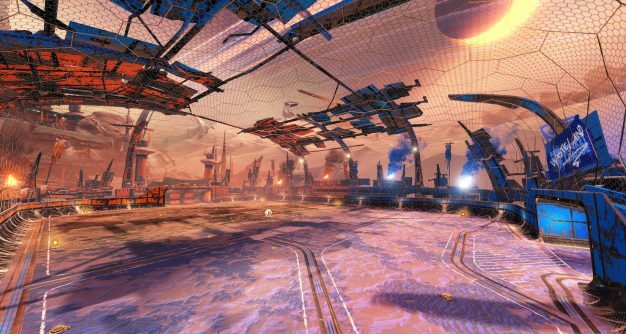 Otherwise, that about covers it: the Autumn Update for Psyonix’s Rocket League will drop on console and PC on September 28th.